Teacher, healer, Servant, King--Jesus is a lot of things! Now toddlers can learn His amazing story in just 12 child-friendly words. Who doesn't love to hear the story of how God saved Noah and his ark full of animals from the biggest flood ever? 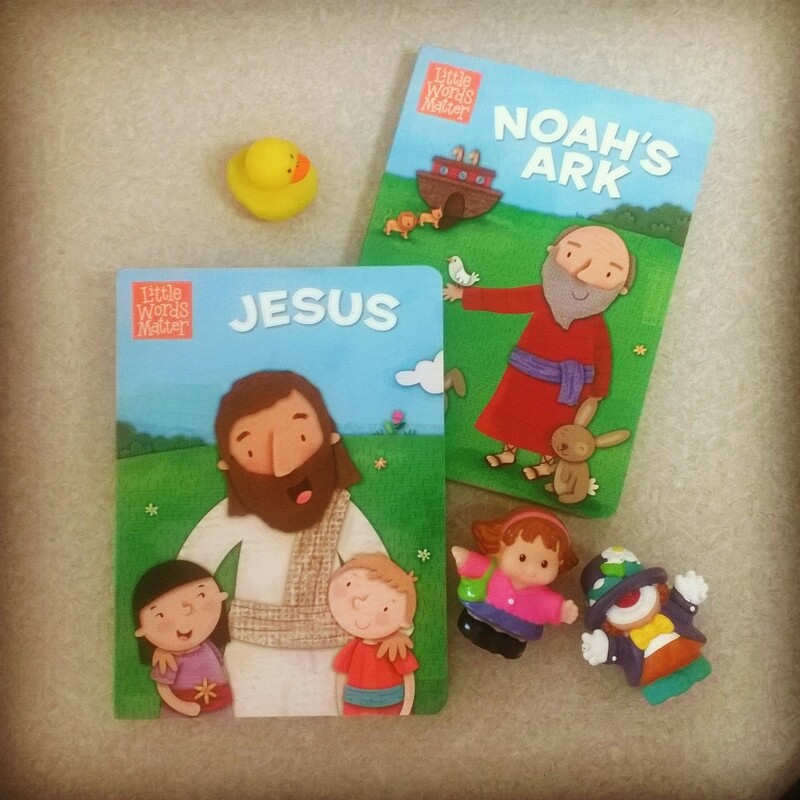 Now little readers can learn about Noah in just 12 child-friendly words. If you could only use twelve words to describe the story of Jesus to your little one what would they be? Perhaps baby, temple, baptized, miracles, teacher, healer, loving, king, servant, cross, tomb, and finally Jesus! Those are the words that the team from Little Words Matter came up with and I think they encapsulate the story of Christ well. What twelve words would you use to simply narrate the story of Noah's Ark to your little one? How about Noah, building, ark, family, animals, rain, flood, waiting . . ., leaf?, land!, rainbow, and finally thankful. I can't think of a more concise way to begin teaching your baby about this powerful story. These Little Words Matter books are filled with the fun and engaging illustrations by Holli Conger. Each page of the board book has a simple word that not only tells part of the story depicted but also allows little fingers to flip the pages as fast as their attention spans will allow. Don't think for a minute that these words will have little impact. 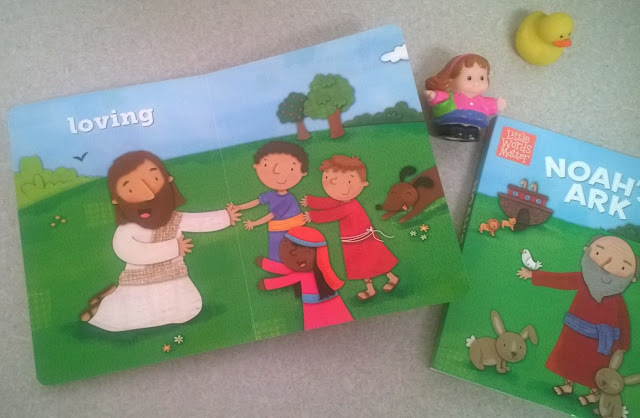 As I read them aloud I could feel the story building and that is also what your child will feel as they grow and continue to read and learn more and more about the Bible and the stories that are contained within. And what a lovely space you have here! Thanks for sharing it at B&H.